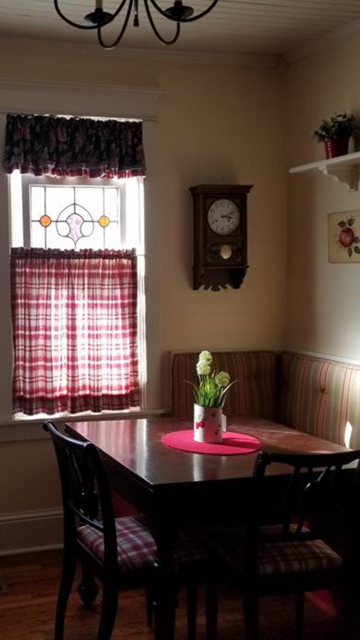 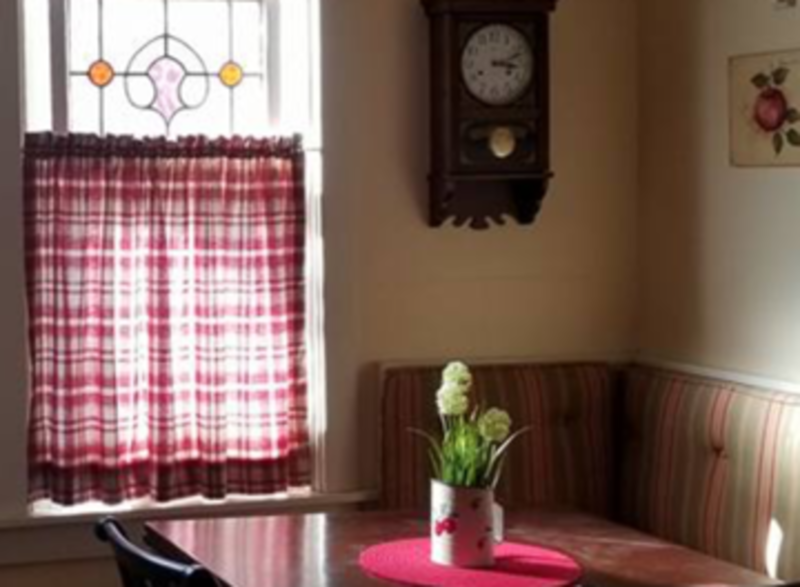 Step back in time in the lovely, historic Stringfellow-Gilmartin House. 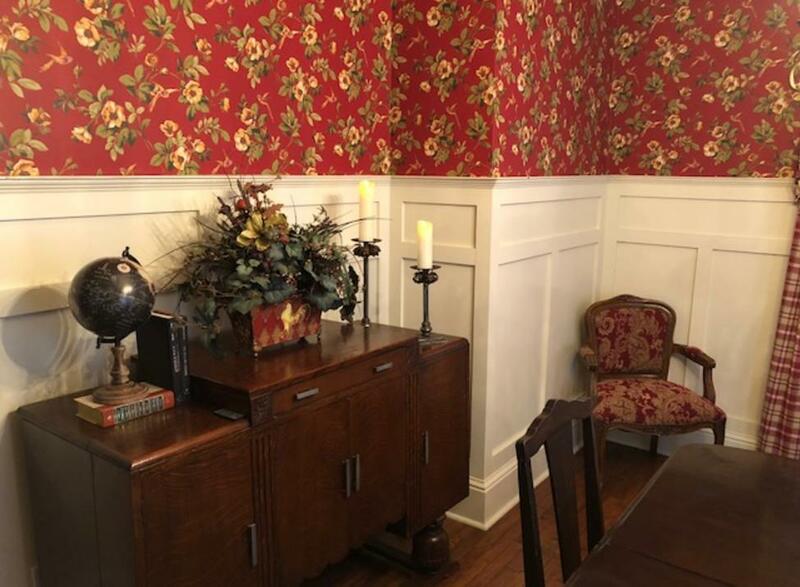 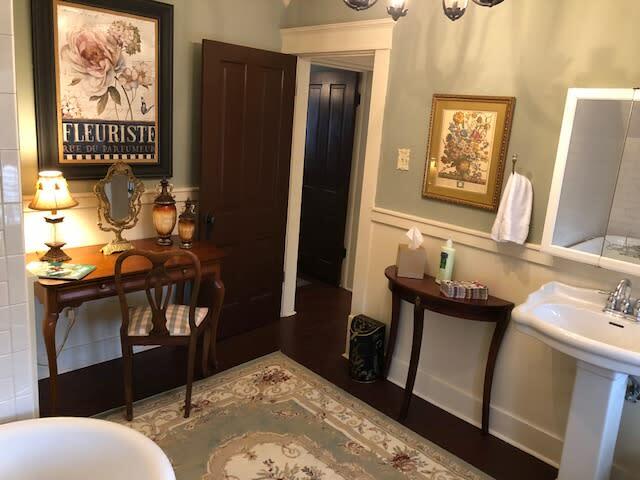 Built in 1914. this designated historic home has been updated from the quaint farmhouse, it once was, to the beautifully appointed Victorian guesthouse it is today. 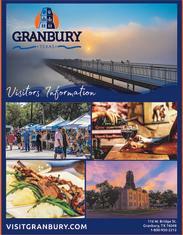 Walk only 2 blocks to the heralded Historic Granbury Square, which has been lauded in numerous publications as one of the premier Texas town squares. 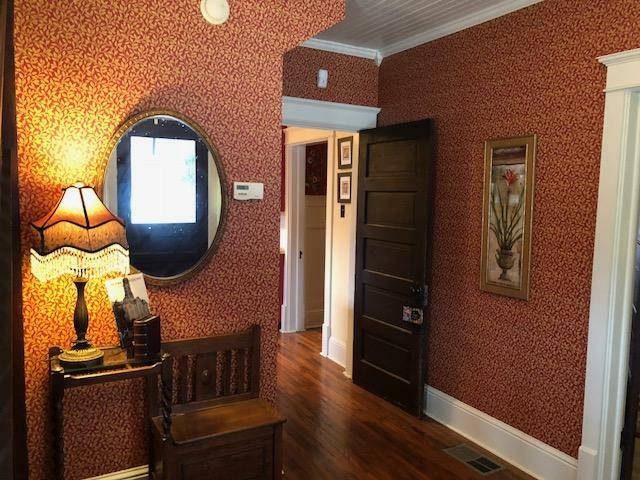 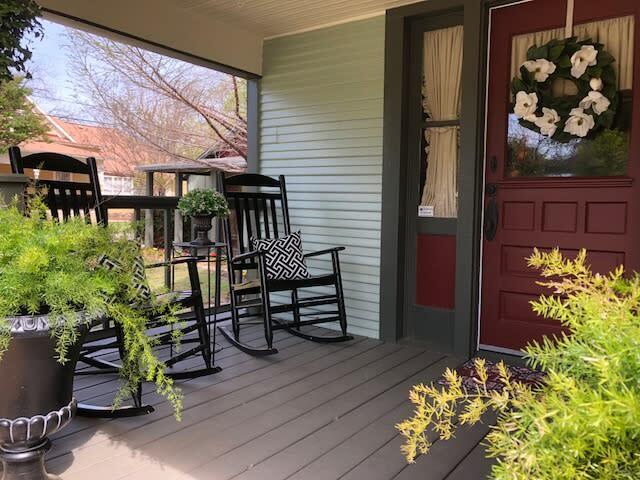 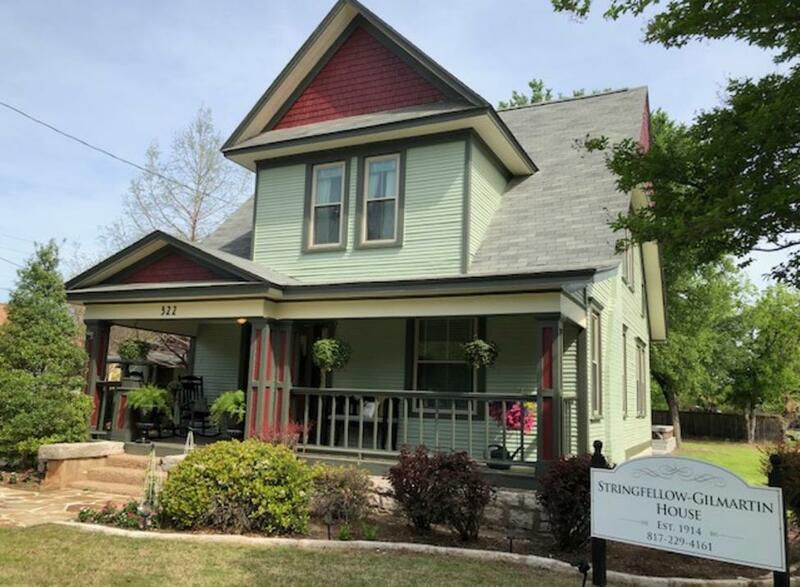 Although the home has been masterfully updated, it still holds many of the historic features dear, such as pocket doors separating the living and dining, original front door and doorbell, wood floors and claw foot tub, to name a few. 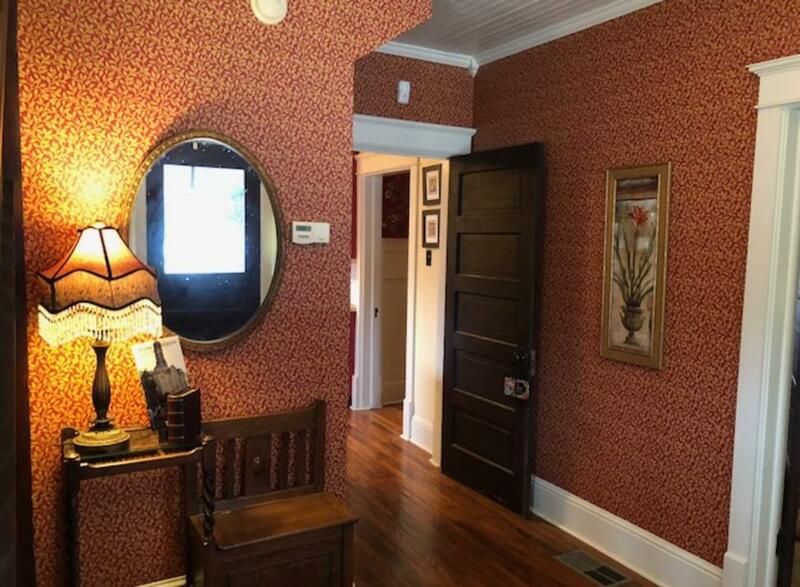 There are 2 upstairs bedrooms. 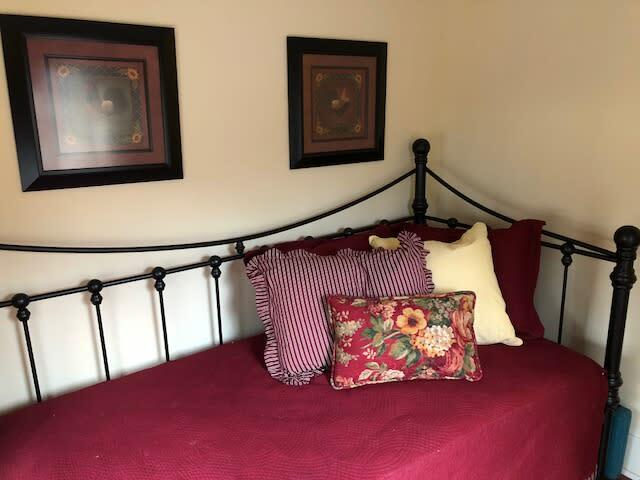 One has a magnificent king bed, the other has 2 twins, both with 32” flat screen TVs. 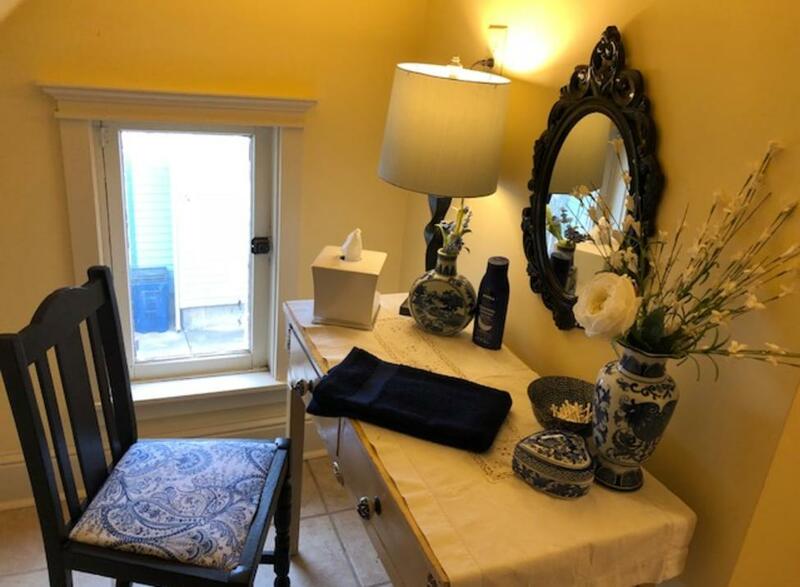 Two large baths upstairs including a spa bath with a claw foot soaking tub and the other with a shower, all amenities included. Downstairs is an inviting entry, warm and elegant living room with a memory foam queen sleeper with doors for privacy. 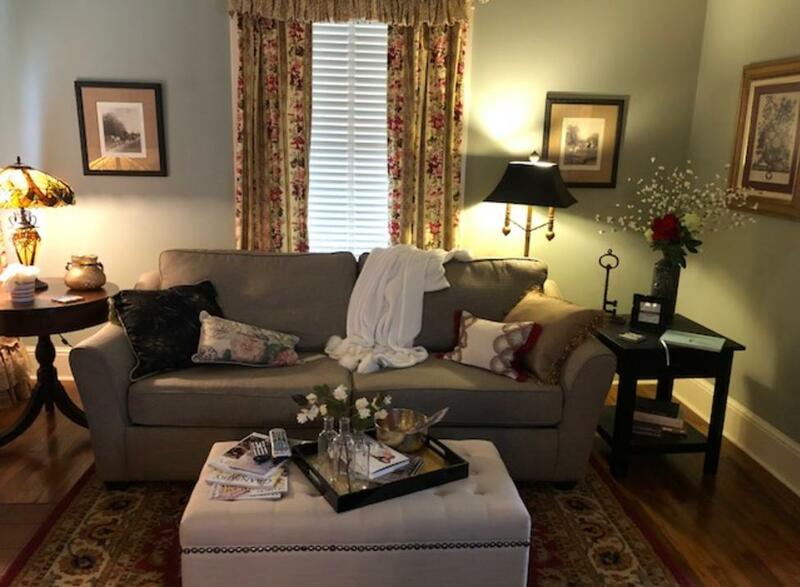 The living room also has a 40” flat screen smart TV, DVD player and wireless WiFi throughout the home. 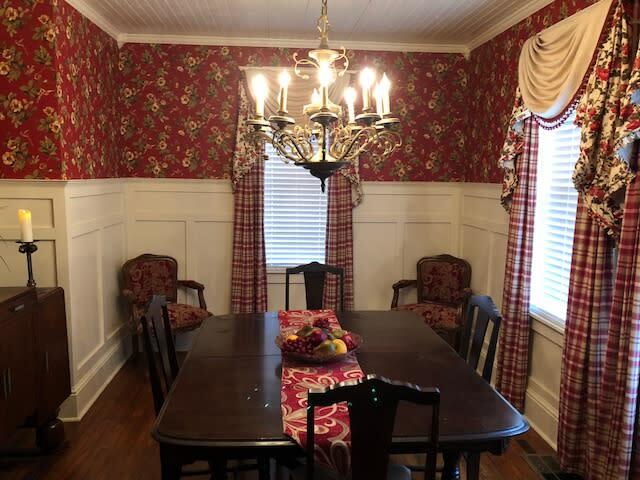 The amazing dining room has a large table for dinners, games, or wine and conversation. 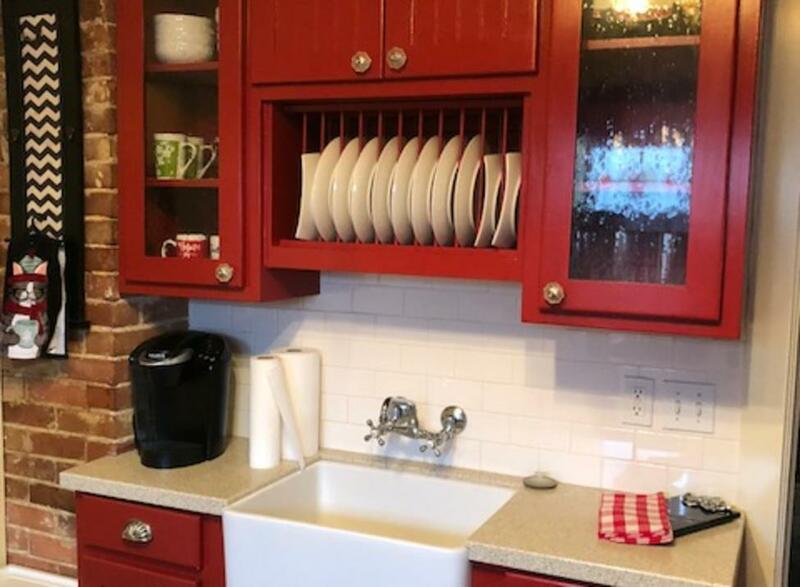 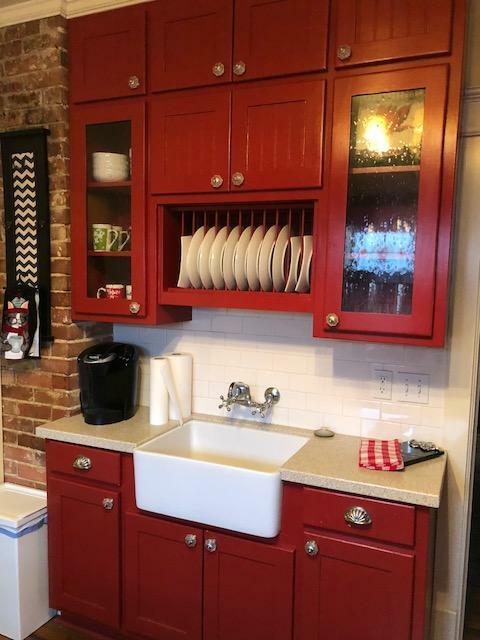 The kitchen is unique with the red cabinets with bubble glass, farm sink, and the corner breakfast nook. There is a laundry area, a half bath and a small room with a daybed for that seventh guest. Outside is a two level, Trex deck with a fire pit and outdoor lighting Historic Stringfellow-Gilmartin House can be rented through AirBnB and Home Away.